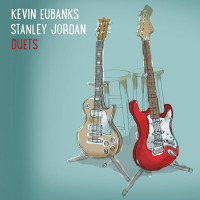 Stanley Jordan came to prominence with the release of his 1985 debut album Magic Touch, a revolutionary project that dually placed him at the forefront of re-launching legendary Blue Note Records into a contemporary entity in jazz and beyond, as well as establishing the then-twenty-something Jordan as among the most distinctive and refreshing new voices of the electric guitar. Key to Jordan's fast-track acclaim was his mastery of a special tapping technique on the guitar's fret board instead of conventional strumming and picking. While a handful of other virtuoso players were using similar techniques, Stanley's fluid and melodic use of tapping captured the imagination of listeners via his inherent warmth and sensitivity. He happened upon the technique without any formal study and had been applying it to his already exemplary traditional playing ten years prior to the album. Though Jordan showcased the technique in a variety of musical styles from swing to rock, it was smooth jazz radio support for his singular versions of The Lady in My Life (first recorded by Michael Jackson) and the Beatles' Eleanor Rigby that sent Magic Touch to the top of Billboard's jazz chart for a stunning 51 weeks. The album became a gold-seller (over 500,000 sold) - outstanding for any jazz or instrumental CD. Subsequent albums found Jordan caught in a frustrating web of wanting to usher his audience into deeper levels of his artistry while record companies craved more of the stuff that had whisked him to the chart top. Because he debuted on the Blue Note label, he was marketed as a jazz progressive when what he was trying to stress was music beyond stylistic boundaries. Those projects included a solo guitar project titled Standards Volume 1 (1986) where Stanley made the bold statement that songs by the likes of Stevie Wonder and Joni Mitchell deserved recognition as standards as much as chestnuts like Georgia On My Mind. He followed that with the band album Flying Home (1988) and an especially edgy album titled Cornucopia (1990), half of which was straight ahead jazz recorded live and the other half of which was multi-dimensional originals recorded in the studio. Still later in 1994 after a move to Arista Records (then-helmed by pop music maverick Clive Davis), he recorded the bracingly eclectic Bolero album, featuring covers of Herbie Hancock's Chameleon, Jimi Hendrix's Drifting, his original Plato's Blues and the CD's centerpiece, a 17- minute arrangement of Ravel's Bolero broken up into rock, African, Latin, groove and industrial versions. 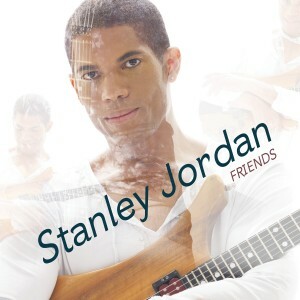 Now in 2007, it's been over a decade since Stanley Jordan has released an album on a major record label, but that doesn't mean he hasn't been active in the music field. To the contrary, he has been exploring deeper dimensions of his craft. Where does this leave new recordings in the matrix of Stanley's career? In 2004 he was prominently featured with the Italian group Novocento on their CD, Dreams of Peace. And independently, he has recorded two CDs: Ragas (a collaboration with musicians from India featuring Jay Kishor on sitar) and Relaxing Music in Difficult Situations I, an audio extension of his Music Therapy interests. Beyond those, Stanley is preparing some new CDs that will focus on something he has only shared sporadically: original compositions. However, as with all things related to Stanley Jordan, he will release them when he feels the music and the timing is right. Stanley Jordan Plays the CROSSROADS, Garwood, NJ on MAY 10, 2002. All About Jazz musician pages are maintained by musicians, publicists and trusted members like you. Interested? Tell us why you would like to improve the Stanley Jordan musician page.